Pete was a member of the UK beat group, The Jaywalkers and had a hit on his own in '68 with "Cold Turkey." 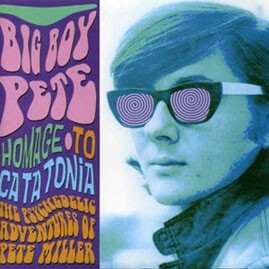 All the tracks on this disc were recorded in Pete's studio between '66 and '69. Genuine UK psych for fans of early Traffic, Pink Floyd and psych era Beatles.